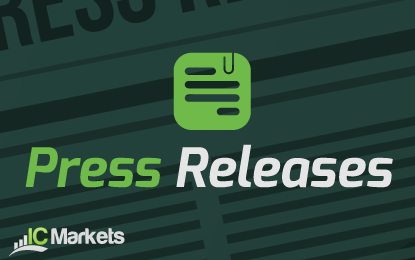 International Capital Markets Pty Ltd (IC Markets) Australia’s leading True ECN forex broker today announced that it has added three new CFDs to its product range. Now IC Markets clients are able to trade Futures CFDs based on the China A50 Index, CBOE Volatility Index (VIX) Index and ICE Dollar Index. These new CFDs are based on the exchange traded futures contract and have an expiry date. The China A50 Index is a weighted index comprising of the largest 50 companies by market capitalisation listed on the Shanghai and Shenzhen stock exchanges. The index includes companies such as Ping An insurance, China merchants Bank, Haitong Securities and China Railway Group. The index is predominantly made up Banks, Insurance, Oil and Gas, Technology and Telecommunications Companies. In addition to the China A50 Index IC Markets has added CFDs based on the VIX and Dollar Index futures contracts. The VIX is a leading measure of market expectations of near-term volatility conveyed by the S&P 500 Index (SPX) option prices. The Dollar Index is a benchmark for the international value of the US dollar and a measure of the value of the US dollar relative to the six main currencies of its most significant trading partners and is often used as a hedge against a risk of a move in the dollar. Andrew Budzinski added: “The addition of these leading futures based CFDs will allow traders to better hedge their portfolios to protect themselves from market moves, these new CFDs will be especially helpful in the current market volatility”. These new Futures CFDs will be available on the MetaTrader 4 platform. Headquartered in Sydney, International Capital Markets Pty Ltd is the largest True ECN forex broker in Australia, offering individual traders, money managers and institutional customer’s proprietary technology, tools and education to trade online. 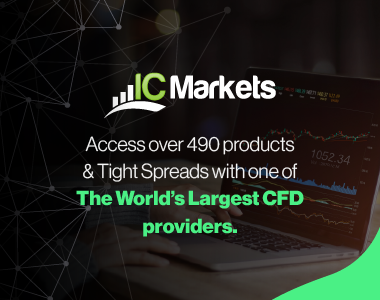 IC Markets has distinguished itself among industry leaders with its unique ECN forex technology, proprietary tools and services, and remarkable focus on customer service. IC Markets is regulated by the Australian Securities and Investments Commission (ASIC) in Australia. Forex trading may not be suitable for everyone so please ensure that you fully understand the risks involved. Please consider IC Markets PDS available from IC Markets before entering into any transaction with us. For further information, visit http://www.icmarkets.com or contact IC Markets by telephone on: +612 8014 4280.